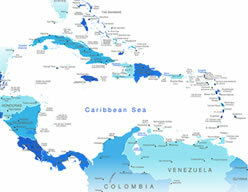 CaribDA has been diligent in Data Security and being compliant with US and other Nations regulations. Opt-In: It is ok to share my contact information (name, job title, company, address, email, phone, etc.) with CaribDA Board, Event Sponsors, Speakers, Moderators & Attendees. Opt-Out: Do not share my contact information. Outside of CaribDA Administration, only my name, title and company will be shared with CaribDA Board, Event Sponsors, Speakers, Moderators & Attendees. Registration and Payment must be received by Oct. 15, 2018 to receive the early registration rate. Included in the exhibitor package and major sponsorship package. Written cancellation requests received on or before Oct. 15, 2018 will receive a refund, less a $50 processing fee. Full payment is required if cancellation is received on or after Oct. 16, 2018 - no refunds and no credits for future events will be granted. However, substitutions may be made at any time. CaribDA reserves the right to make changes in programs and speakers, or to cancel programs when conditions beyond its control prevail. Every effort will be made to contact each enrollee if a program is cancelled. If a program is not held, CaribDA’s liability is limited to the refund of the program fee only.